A great read, chock full of valuable tips and tricks. 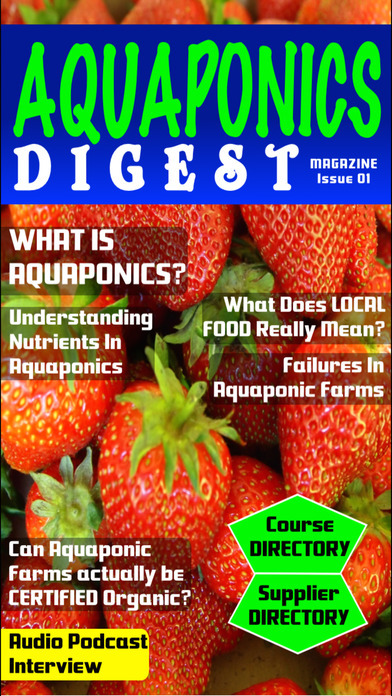 Aquaponics Digest Magazine is the world's first independent aquaponics magazine publication with contributions from leaders, authors, experts, suppliers and trainers in the Aquaponic Gardening, Farming and Local Food (locavore) movements. Issues are packed with interactive multi-media content including, articles, videos, audio podcasts, entertaining and informative interviews, opinions, suggestions, tips, product reviews and training with the most knowledgeable and insightful practitioners in the field that are truly eager to share their wisdom with you. 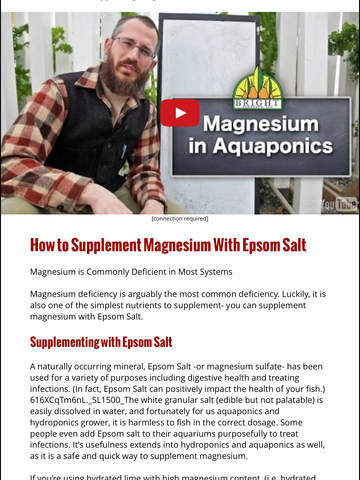 Are you interested in discovering how to get up to 5 times the production with 90-95% less water usage by implementing proven Aquaponic gardening principles on your deck, backyard or community gardens and local farms, while also producing a pristine organic protein source as an added benefit? 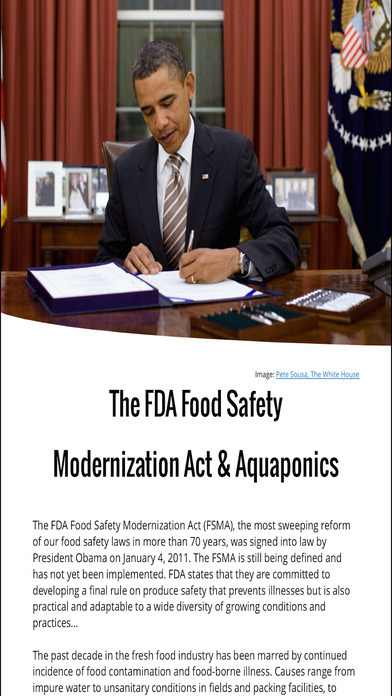 Would you like to have more control over what GMO, chemicals or contaminants are present in the food that you and your children eat, while maintaining optimum nutritional content? Do you want to learn how to take the Square Foot Gardening, Transition Town, Prepper, Urban Gardening, Intentional Community, Permaculture, Hydroponics or Eco Village concepts to the next level? We encourage you to enjoy the interactive digital magazine with your children as well. It can assist your entire family in acquiring the critical skills that can one day help make the difference between living in food scarcity or living in food abundance. 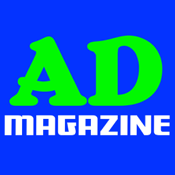 This is a FREE magazine application that contains a FREE magazine subscription option within the app. Be sure to ALLOW PUSH NOTIFICATIONS to enable us to inform you of any occasional promotions. 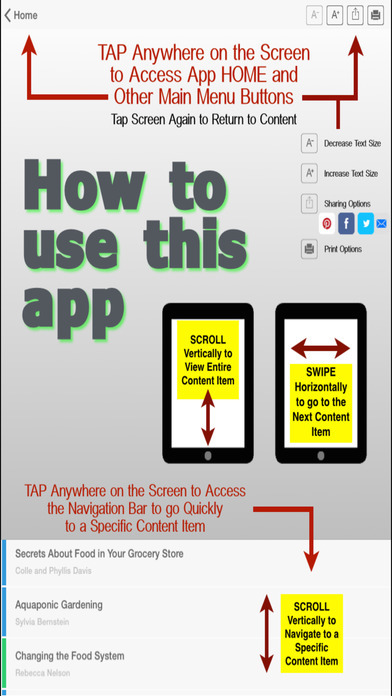 Your downloaded issues will be conveniently archived within the app for easy future reference. SUBSCRIBERS' AUTOMATIC RENEWAL FEATURE: Your FREE subscription automatically renews unless auto-renew is turned off at least 24-hours before the end of the current period. You can manage your subscriptions through your account settings after subscribing. Please see rubiconendeavors.com/terms/, rubiconendeavors.com/privacy/ and rubiconendeavors.com/dcma-disclaimer/ for more information.